Agro 640 provides permanent protection for field crops. It protects your micro-climate and your crops can grow better. These climate structures, with permanent netting, have a short payback time. MENART turners have proven themselves in all types of material and in the most extreme work conditions: green waste, household waste, polluted soils, agro-industrial residue, animal evacuation. By Amiran Kenya Ltd based in Nairobi, KENYA. 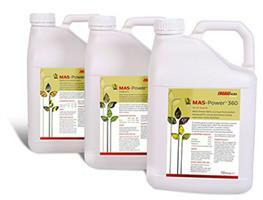 MAS-Power foliars are unique nutrient formulations, containing both trace elements and Engage Agro Europe’s MAS™ technology designed to rapidly address specific nutrient requirements and stresses, during critical growth stages of crops. By Engage Agro Europe Ltd based in Chorley, UNITED KINGDOM. 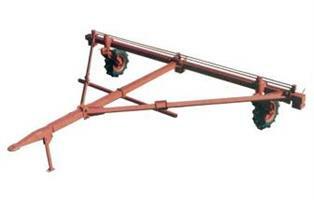 The JEMA AGRO intake conveyor is made in galvanised material, which makes it particularly suitable for outdoor applications. The intake conveyor is available in a horizontal design or with a 45° bend. It works effectively in both versions and has low power consumption in relation to its capacity. Micro-Blaze AGRO is a synergistic blend of spore-forming microbes in liquid form, which decomposes organic materials in the root zone mix (humus), and restricts the growth of pathogenic diseases through its aggressive process of supplying vital proteins, vitamins, and growth regulators to the plants. Quickly built multi-purpose premises. 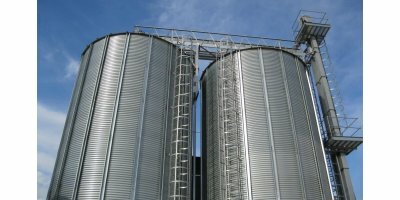 Affordable and high quality quickly built buildings for agriculture, factories and personnel in Ukraine, Russia, Kazakhstan and other countries. Hangars are hoop structures, assembled from structural steel with a tarp cover. Agro-Soyuz Holding has a 10-year experience of production and selling of hangars. The tramp double axle hydraulic dump trailer is available as 6' x 12' and 7' x 14' heavy duty models. Constructed with high grade steel, these end dump trailers are the perfect utility dump trailers which can be used as freight haulers, farm dump trailers, agro-dump trailers or landscape dump trailers. By Tramp Trailers based in Savannah, GEORGIA. As an ever expanding company with the main focus on providing affordable solutions to the farmers Agro Irrigation has set up a plastics division and is currently producing high quality pipes. We have full technical back-up from our principals in Israel which gives us confidence to assure the client of a world class product at an affordable price. By Agro Irrigation & Pump Services Limited based in Nairobi, KENYA.